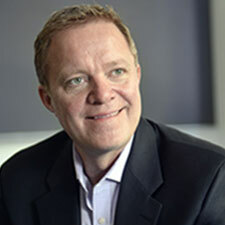 Dr. Dennis Culhane is a Professor at the University of Pennsylvania, where he is also the Dana and Andrew Stone Chair in Social Policy and Co-Principal Investigator for Actionable Intelligence for Social Policy. Dennis also serves as Director of Research for the National Center for Homelessness Among Veterans at the U.S. Department of Veterans Affairs. Dennis’ primary area of research is on the use of data to understand the nature of homelessness and design cost-efficient policy approaches to serving individuals and families experiencing homelessness. His work in this area has positioned him as an early innovator in the use of administrative data for research and policy analysis, particularly for populations and program impacts which are difficult to assess and track. Dennis’ work has resulted in federal legislation requiring all cities and states to develop administrative data systems for tracking homeless services in order to receive HUD funding. His work has also been instrumental in a national shift in how cities address chronic homelessness and family homelessness. Dennis’ recent research includes studies of vulnerable youth and young adults, including those transitioning from foster care, juvenile justice, and residential treatment services. For the past 15 years, he has also served as Co-Principal Investigator, with Dr. Jill Khadduri, of the Annual Homeless Assessment Report to Congress. Together with Dr. Cortes, he is leading efforts to develop a DataHub that will make data on homelessness more accessible and useful to practitioners.